Five new ships to look forward to in the new year. Year after year, there never seems to be a shortage of new and exciting cruise ships being built — from the continuous rise of river ships to today’s big, bigger, and biggest megaships to the world’s most luxurious small ships. And 2016 is no exception, with a bevy of newbies on the horizon. Here are just five launches to look forward to in the new year. 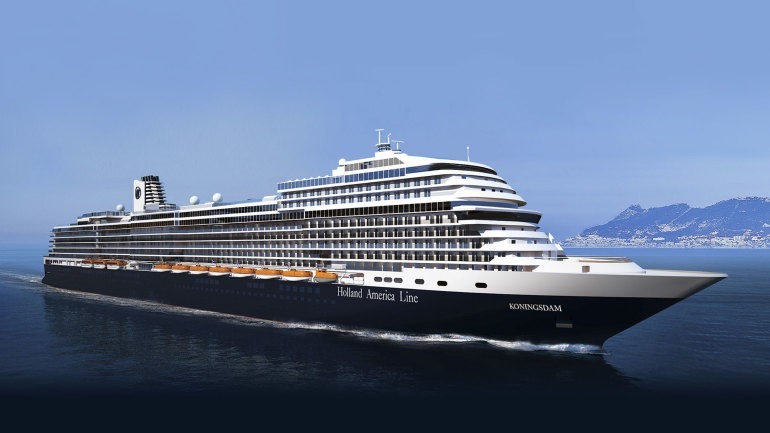 Debuting in April 2016, the 2,650-passenger Koningsdam represents a new Pinnacle Class of ship for Holland America Line as well as the largest ship the line has built. Fine dining in alternative restaurants include Sel de Mer, a new French seafood brasserie; a new immersive farm-to-table concept dinner experience in the Culinary Arts Center presented by Food & Wine magazine; and a redesigned Lido Market with themed serving stations. Meanwhile, signature favorites such as the Pinnacle Grill, Canaletto Italian restaurant, and pan-Asian Tamarind will also be on board. The ship also will feature the line’s first purpose-built staterooms for families and single staterooms among its 1,331 guest accommodations. Onboard entertainment will include an energetic Music Walk area featuring venues such as Lincoln Center Stage, offering chamber music nightly; Billboard Onboard, where live musicians rock the crowd with chart-topping hits; and the popular B.B. King’s Blues Club in the Queen’s Lounge, bringing the best of Memphis music to sea. With the 270-degree LED projection at World Stage, new concepts for show-time performances will immerse the audience in panoramic visual and sound effects. The largest, most innovative ship ever constructed for Carnival Cruise Line, the 3,936-passenger Carnival Vista will debut May 1, 2016, with unique features including a suspended cycling experience called SkyRide, a 455-foot-long inner tube slide called Kaleid-o-Slide, and the first IMAX theater on a cruise ship. New dining concepts include the New England–inspired Seafood Shack and the signature RedFrog Pub, which now houses the line’s first onboard brewery. You’ll also find some of the line’s signature features including Guy’s Burger Joint, Serenity adults-only retreat, Cherry on Top candy store, and a Dr. Seuss Bookville. 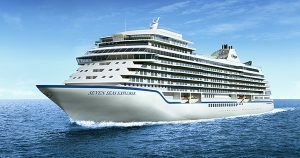 Billing itself as “the world’s most luxurious ship ever built,” the 750-passenger Regent Seven Seas Explorer will sail its maiden voyage on July 20, 2016. Each of the ship’s 375 suites, which start at 307 square feet, will feature a private balcony, European king-sized Suite Slumber Beds, and oversized bathrooms. The most luxurious accommodation of all is the Regent Suite, a two- bedroom, 3,875-square- foot suite complete with an in-room spa retreat with a personal sauna, steam room, and treatment area. The suite features an outdoor, glass-enclosed sitting area where guests can enjoy 270-degree unobstructed views over the ship’s bow and out to the horizon. The ship will feature a Canyon Ranch SpaClub that will offer a selection of ultra-luxurious treatments developed by Canyon Ranch in partnership with lifestyle and beauty experts, Red Flower. An opulent pool area will feature teak decking, plush loungers, circular two-person daybeds, natural stone and marble accents, and a Southeast Asia-meets-Caribbean theme. Seven Seas Explorer will also introduce two new gourmet restaurants — Chartreuse (fine French cuisine) and Pacific Rim (fine Asian cuisine) — which will complement the four other dining venues on board. The ship will also feature Regent’s first culinary instruction center called the Culinary Arts Kitchen, which will provide personalized instruction at 18 individual cooking stations. When Royal Caribbean International’s 5,500-passenger Harmony of the Seas debuts in May 2016, it’ll be the world’s newest largest cruise ship, combining features of the line’s Oasis-class with those of its Quantum-class. Harmony of the Seas will span 16 guest decks that will feature Royal Caribbean’s seven neighborhood concept, which includes Central Park, the Boardwalk, the Royal Promenade, the Pool and Sports Zone, Vitality at Sea Spa and Fitness Center, Entertainment Place, and Youth Zone. New features will include the dramatic Ultimate Abyss, a 10-story water slide that takes riders from the upper deck down to the Boardwalk neighborhood. There will also be three waterslides and Splashaway Bay, an interactive aqua park for kids. Dining options will include Wonderland, a sushi and hibachi restaurant, and a taco and tequila bar. New entertainment will include the recently announced Broadway hit musical, Grease. 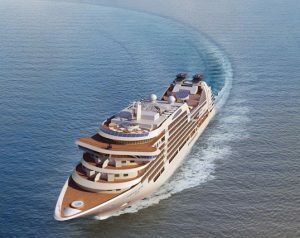 Modeled after Seabourn’s trio of Odyssey-class ships — Seabourn Odyssey, Seabourn Sojourn, and Seabourn Quest — the line’s upcoming 604-passenger ship, Seabourn Encore, is the first newbuild for the luxury line in five years. The entire ship will feature interior design by Adam D. Tihany, one of the world’s most recognized and preeminent hospitality designers. Launching in December 2016, Seabourn Encore will also include cuisine by noted American Chef Thomas Keller, 300 yacht-inspired suites that range from nearly 300 square feet to the more than 1,300-square-foot Wintergarden suites, a Grand Salon, and Seabourn’s signature lounge, The Club. An expansive pool deck will boast another favorite venue, the Sky Bar. 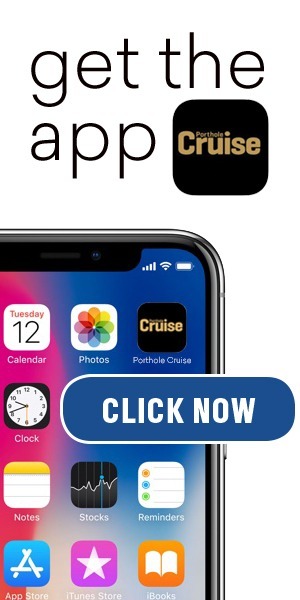 NOTE: Want even more ship scoop? Stay tuned for the January/February 2016 issue of Porthole Cruise Magazine, which will feature a complete rundown of all the new cruise ships launching next year!